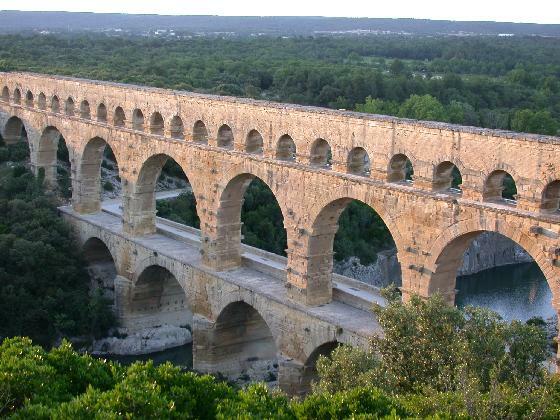 The largest of several intact sections of the Roman aqueduct serving Nemausus (Nîmes) may be seen at Pont du Gard, 18 km Nord-East of Nîmes. A beautiful bridge spanning the Gard and fitted together without mortar. Consisting of three tiers of arches arranged into gracefully symmetrical patterns, it dates from about 19 B.C.